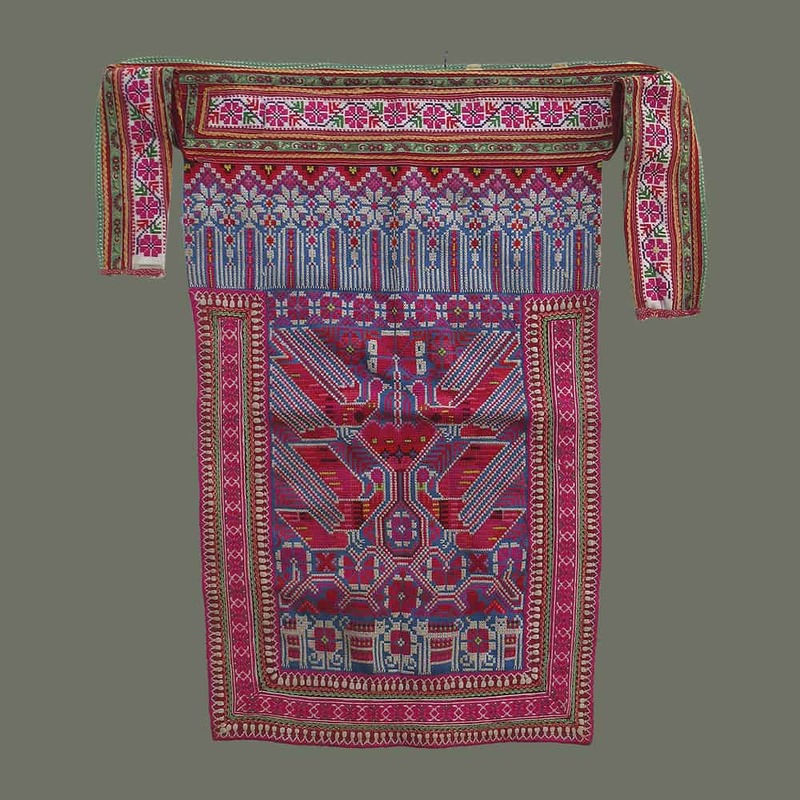 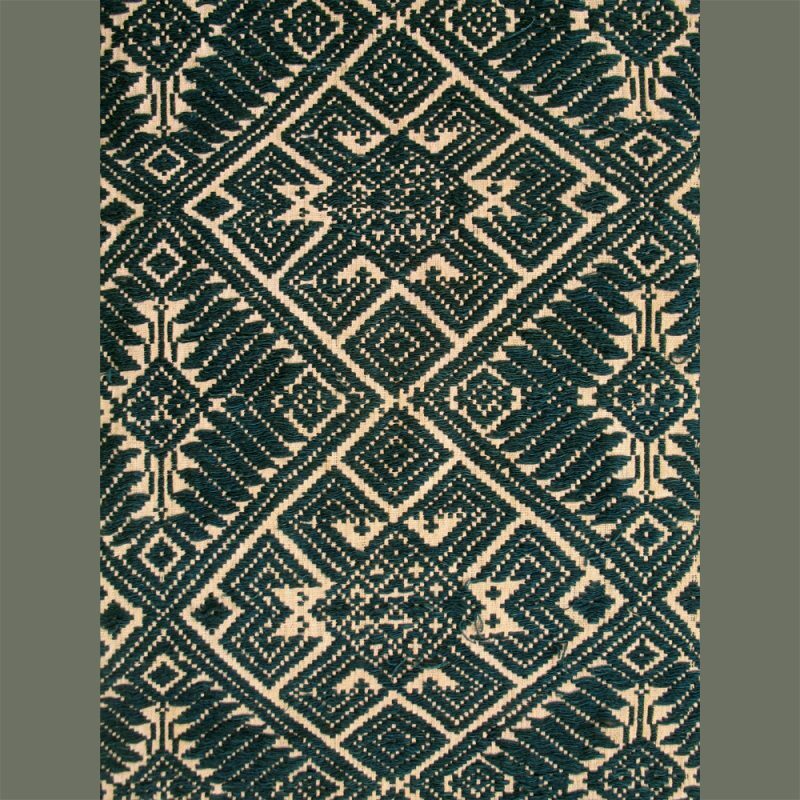 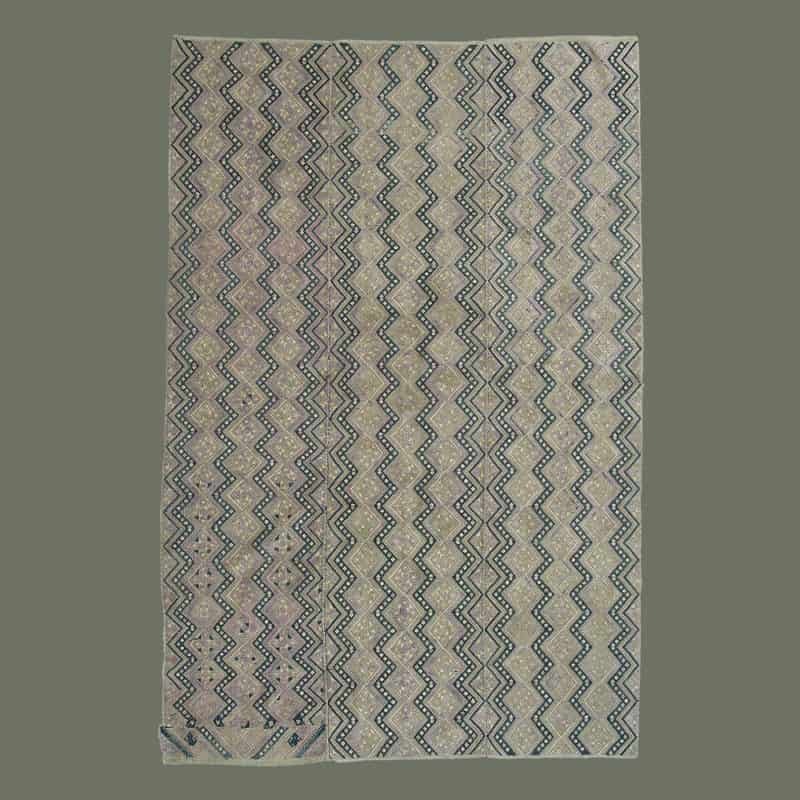 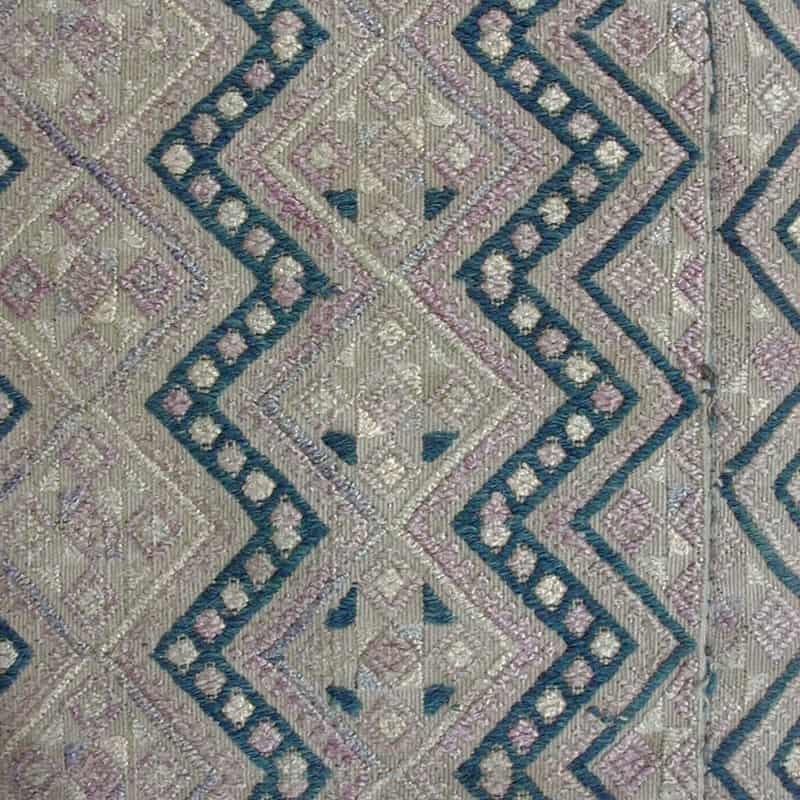 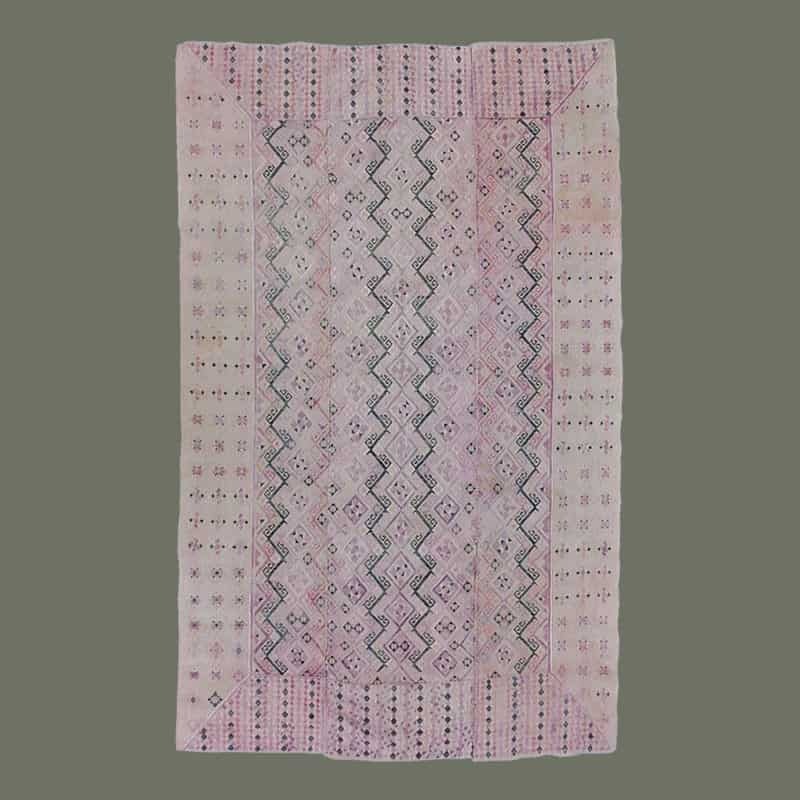 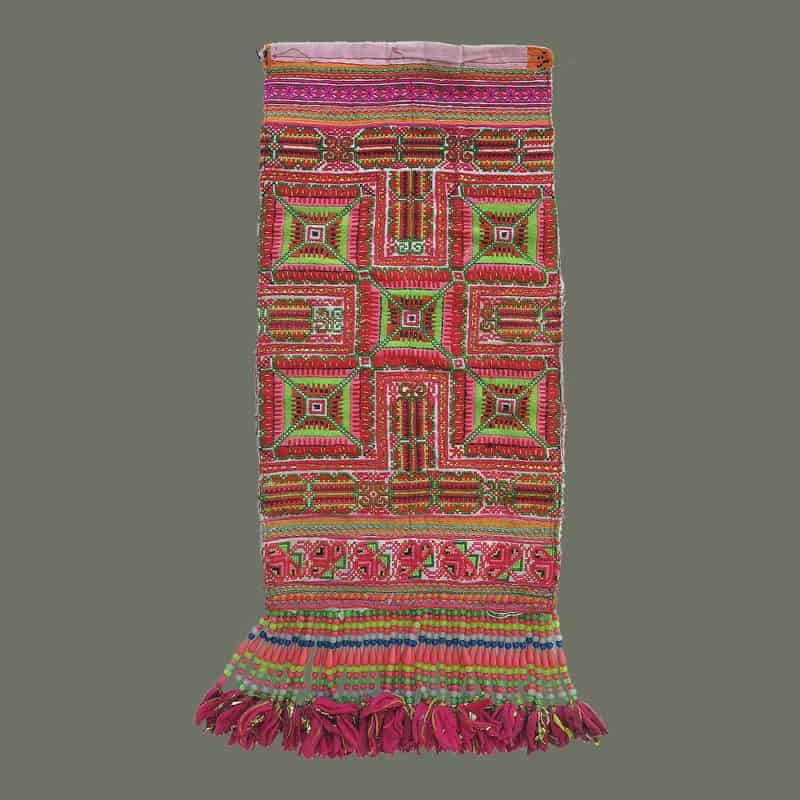 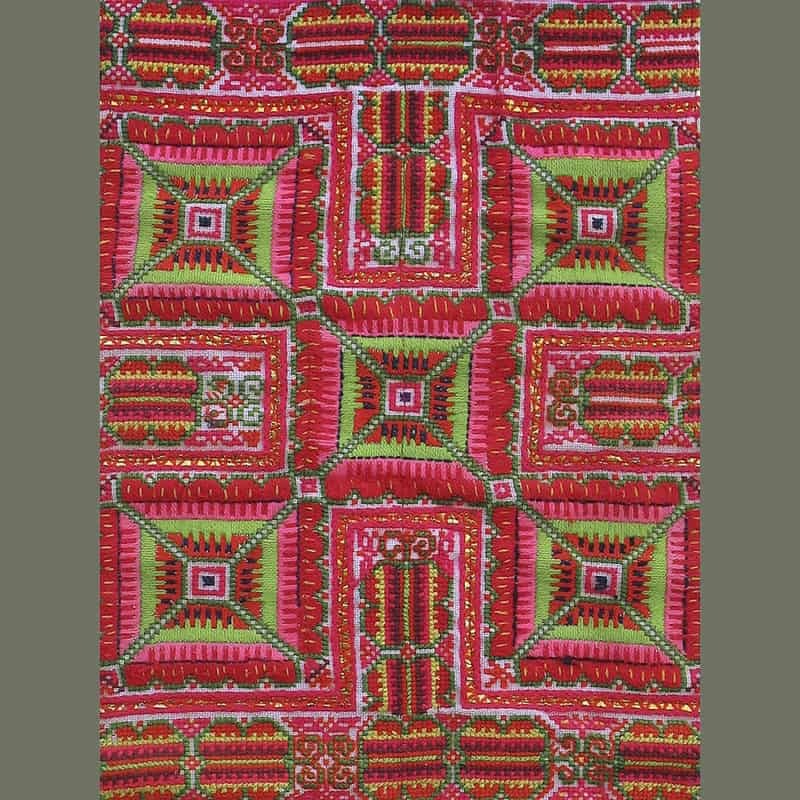 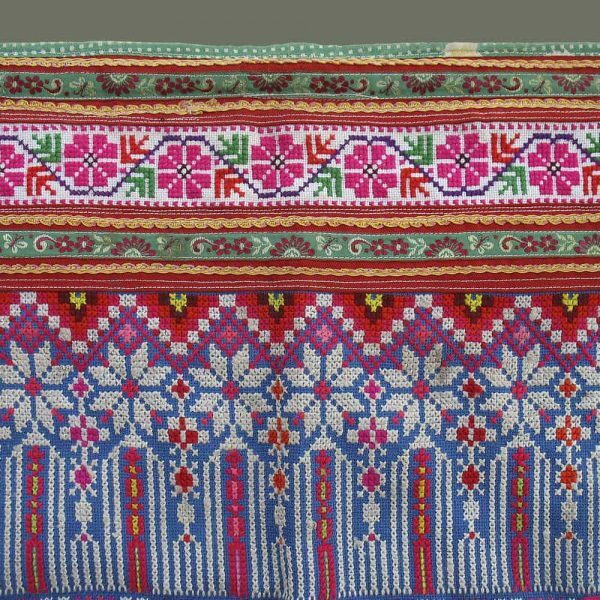 Probably from the Hmong/Miao in Yunnan Province, China, and worn as a festival apron, this colorful textile has a dynamic design employing four angular birds flanking a central plant form. 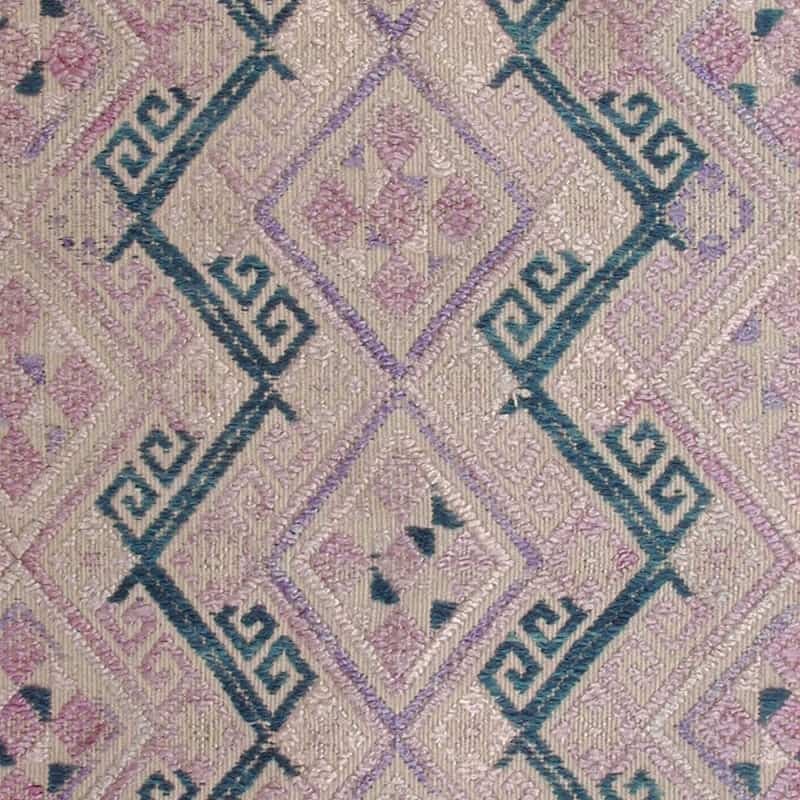 Charming cats look out from the bottom of the panel (see Detail 1), and a row of flowers borders the top. 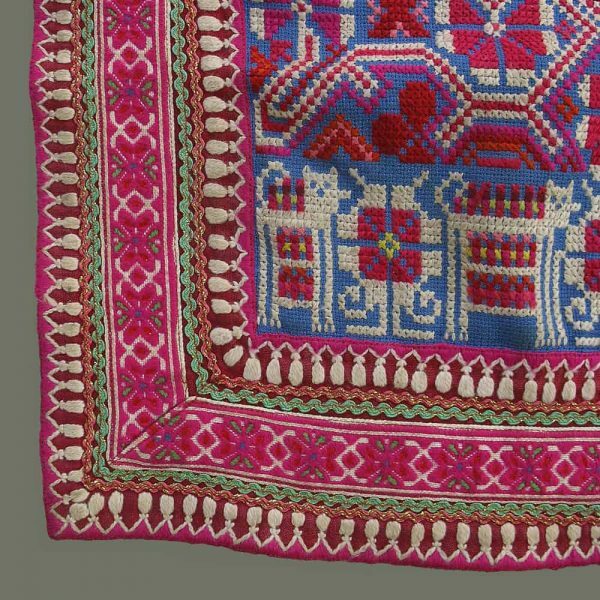 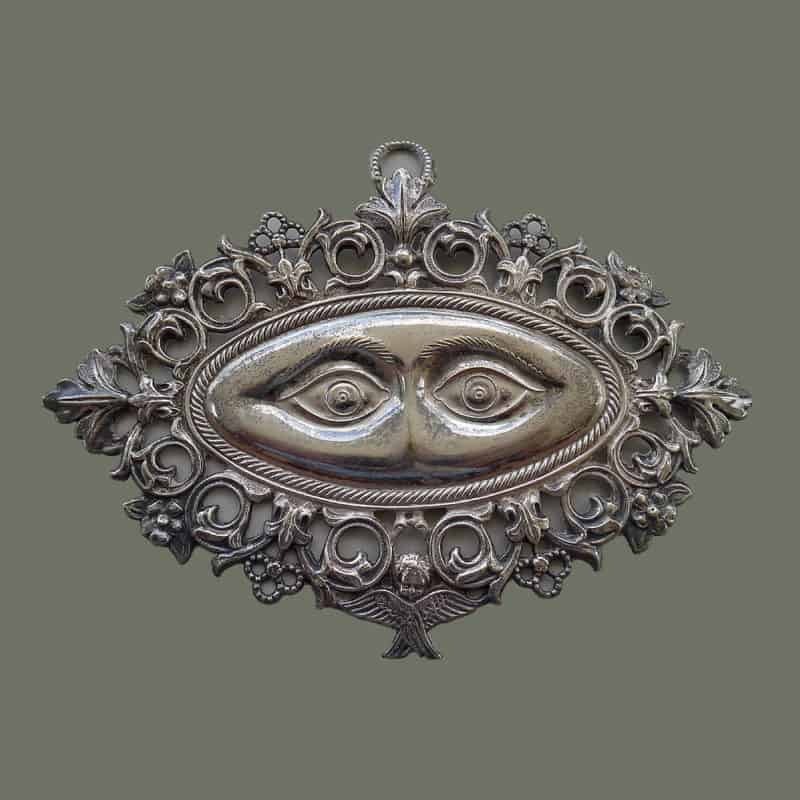 Executed mostly in cross stitch, it also uses ‘rick rack’ and commercial ribbon to embellish the piece.